Studies have shown for decades that the integration of STEAM programs within K-12 education is important to the development of students. These programs are designed to set up children earlier with a strong understanding of STEAM skills, while cultivating students as a future interest for national economic prosperity. During the program, teachers design a challenged-based learning activity to engage their students in decision making, strategic planning and evaluate plan revisions. At the end of each session, participating teachers are given the opportunity to present their final “units,” displays and videos for judging. Steve served as a volunteer judge during the Closing Day Showcase earlier this month, providing constructive feedback and guidance to the educators. 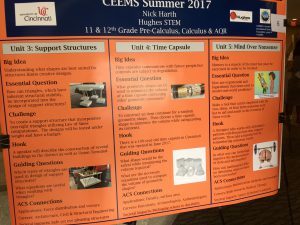 “As a graduate of the UC College of Engineering, I take tremendous pride in being able to connect back via CEEMS,” says Steve. “It is a great way for me to give back to my community all while educating the stewards for the next generation of engineers” he continues. The Oak Hills School District, Steve’s alma mater, is a partner in the CEEMS program. 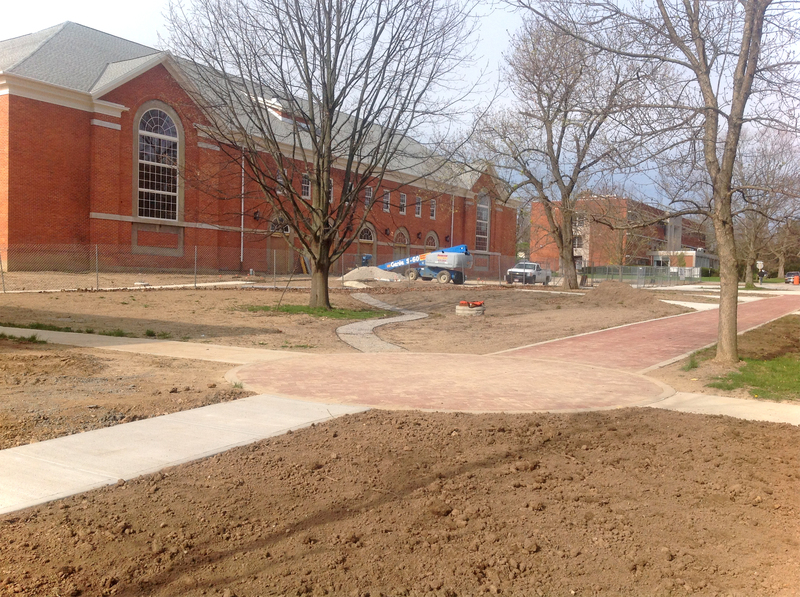 “Many of my formal education worlds come together through the CEEMS program. I have been able to take back my professional experience and college education at UC to teach students about how math and science really come together. I even had the opportunity to present at Delhi Middle School, my old stomping grounds,” Steve shared. Through many years of volunteering, Steve has grown many relationships with teachers and administrators in the Cincinnati area, which has led to several classroom presentations to middle school and high school math/science students. Steve has also sat on numerous panels in an open forum with math and science teachers to discuss what engineering companies are looking for in college graduates (technical skill sets, software programs and soft skills). 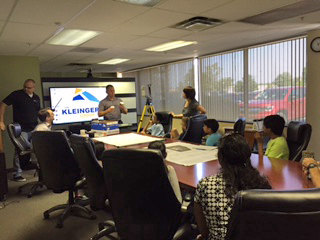 “As a group of engineers, surveyors and landscape architects who use math, arts and sciences every day, it is important to myself and others at Kleingers to educate teachers. Giving teachers the tools to explain real-life applications and how STEAM subjects impact their students’ future careers is huge,” says Steve.